1st place winning a $1,000 scholarship, Harrison "Hootie" Hurley. 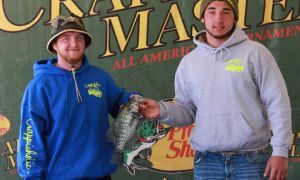 2nd place winning a $500 scolarship and also winning a Minn Kota Fortrex for having the big fish of the tournament, Zachary Parisi. 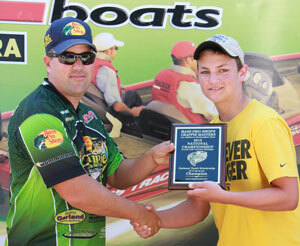 Winning the $1,000 G3 Boat Bonus Scholarship, Hunter Murphy. 1st place winning a $2,500 scholarship, Marshall Taylor and Joshua Gafford. 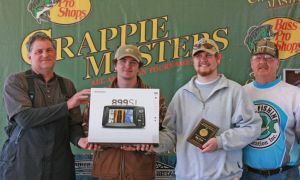 Big Fish and 2nd place, Cody Cahill and Justin Schmidt won a $1,500 scholarship and a Humminbird 899 SI graph. 3rd place and winning a $1,000 scholarship, Hayland Breland. 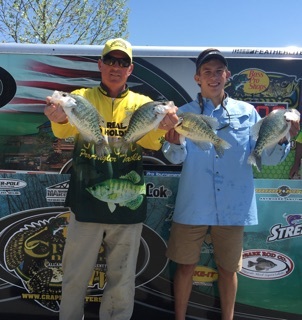 Winning the $1,000 G3 Boat Bonus Scholarship, Michael Turner and Justin Ladner. 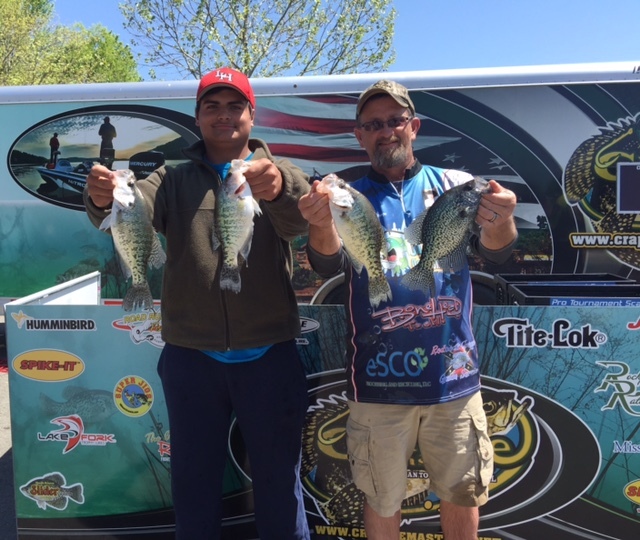 Nine excited youth from six states fished for fun and to win a college scholarship. 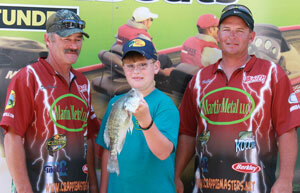 The youth were randomly drawn from participants in Crappie Masters kids fishing rodeos. 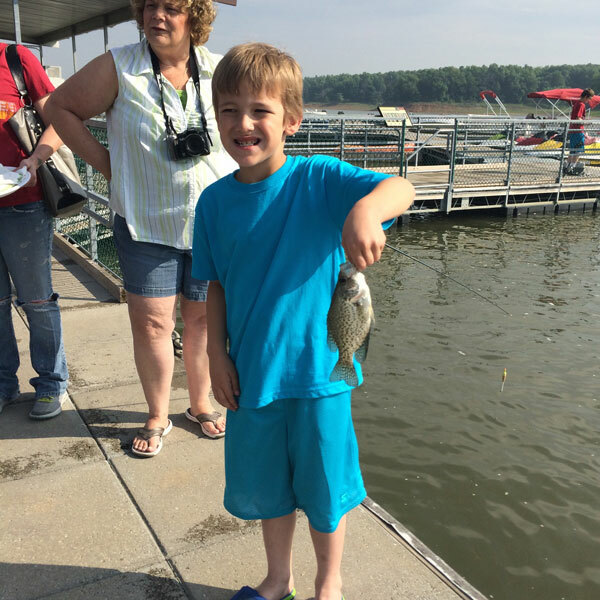 Crappie Masters holds a free fishing rodeo at each event for kids. 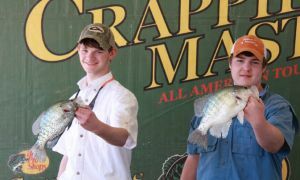 One of the youth participants was drawn from the adult-youth teams that fish the Crappie Masters tournament trail and another youth is drawn from Future Fishing Foundation participants. 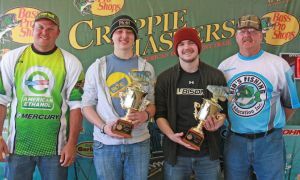 Morgan Striping, Bug Band, MidSouth Tackle, Crappie Masters, and Crappie Master anglers sponsored the scholarship. There were many wide-eyed youth fishermen as they boarded the boats with the tournament fishermen. 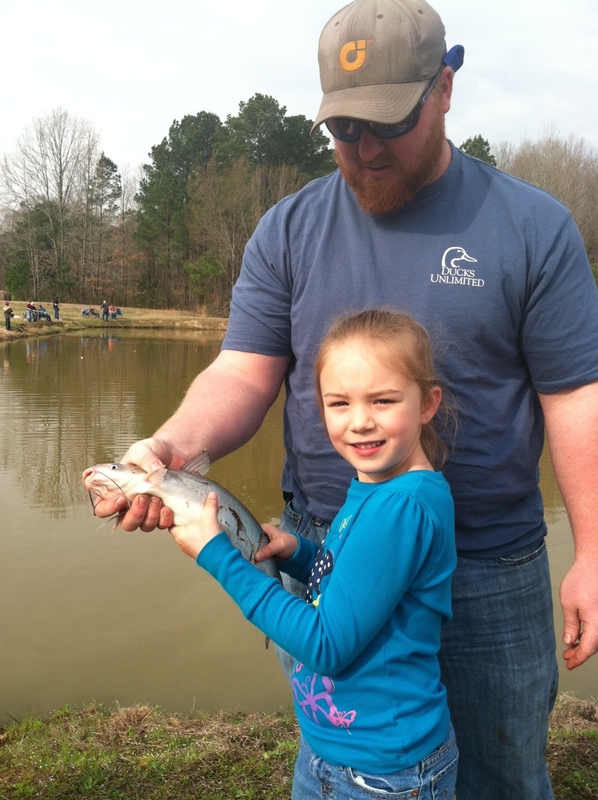 The teams fished until 11:00AM with each youth being allowed to weigh in their biggest fish. On the water it was easy to see that the young fishermen were having a great time. 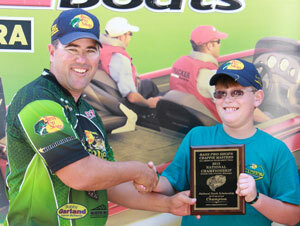 When the competition was completed, Caleb Tosh weighed in a 2.36-pound slab to with the 10-12 age group. He won a $2500 scholarship. Banks Dinkens was second with 1.93. 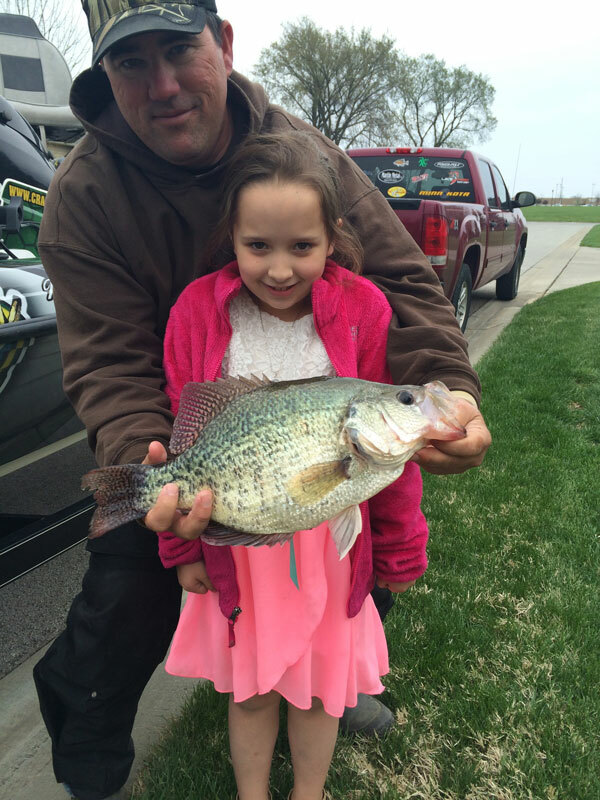 Kaitlyn Melton weighed in a 1.76 crappie for third. Bo Schneider caught a 1.55-pounder. Caleb Tosh teamed with Brian McGhee and Don Brooks. 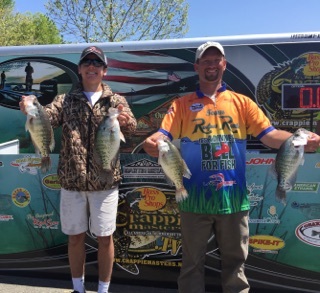 McGhee and Brooks are sponsored by Martin Metal LLC, MidSouth Tackle, Auto Zone, Koolwell, Engel Coolers and Odysee Batteries. Banks Dinkens from Mississippi teamed with Mike Parrott. Parrott is sponsored by Toyota, Rockport Rattler, BnM Poles, Vicious, MidSouth Tackle, MinnKota, Humminbird, Lucas Oil, FatHeadz Sunglasses, Power-Pole, and Reel Adrenaline Energy Drink. Jacob Tuner from Mississippi teamed with Charles and Travis Bunting. 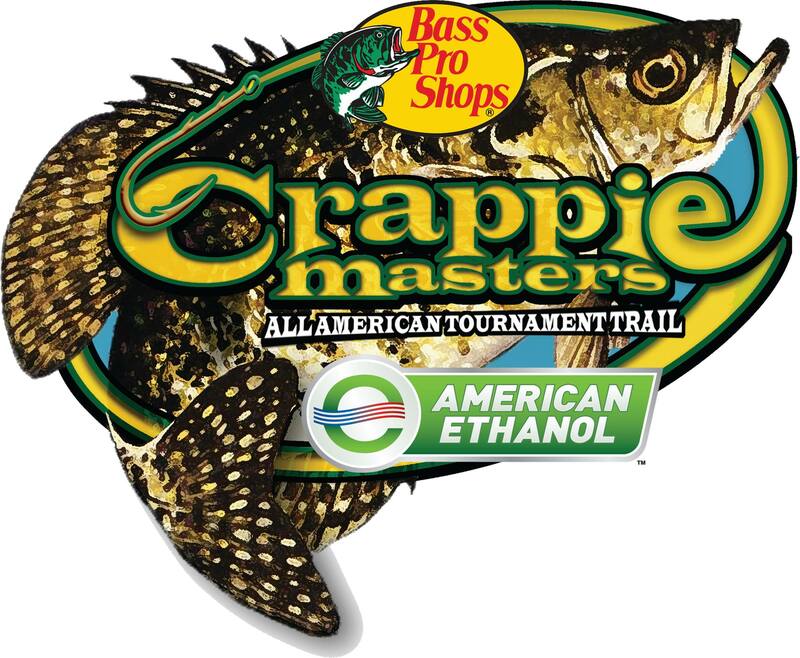 The Buntings are sponsored by Power-Pole, Tite-Lok, Humminbird, MinnKota, Porcupine Fish Attractors, Mercury Motors, BnM Poles, and Engel Coolers. Kailtyn Melton from Florida teamed with Whitey Outlaw. Whitey is sponsored by Toyota, Rockport Rattler, BnM Poles, Vicious, MidSouth Tackle, MinnKota, Humminbird, Lucas Oil, FatHeadz Sunglasses, Power-Pole, and Reel Adrenaline Energy Drink. Bo Schneider from Iowa teamed with Kyle Schoenherr and Rodney Neuhaus. 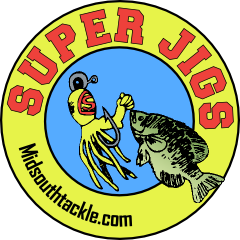 The team is sponsored by BnM Poles, Engel Coolers, MidSouth Tackle, Tru-Turn Hooks, Tite-Lok and Road Runner. Clay Huey from Missouri teamed with Jim and Jason Westerberg. 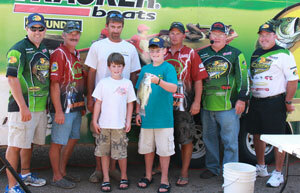 The Westerberg's are sponsored by Rockport Rattler, Driftmaster and Lake Fork Tackle. John Harris from Kansas teamed with Phil and Eva Rambo. The Rambo's are sponsored by Tite-Lok and Road Runner. Drew Ash from Missouri teamed with Matt Morgan and Kent Watson. The team is sponsored by Fatheadz and Lucas Oil. Coleton Bond from Mississippi teamed with Don and Toni Collins. The Collins are sponsored by Bass Pro Shops, Tracker Marine, Road Runner, Humminbird and MinnKota. Drew Ash took first in the 13-15 age group to win a $2500 scholarship. Drew weighed in a 1.92 pound fish just beating out Clay Huey with a 1.87. John Harris caught a 1.86 for third. Coleton Bond caught a 1.23. Youth anglers, their families and tournament anglers were treated to a lunch at 333 Restaurant where youth were presented with prizes. All youth won Bass Pro Shops gift certificates. 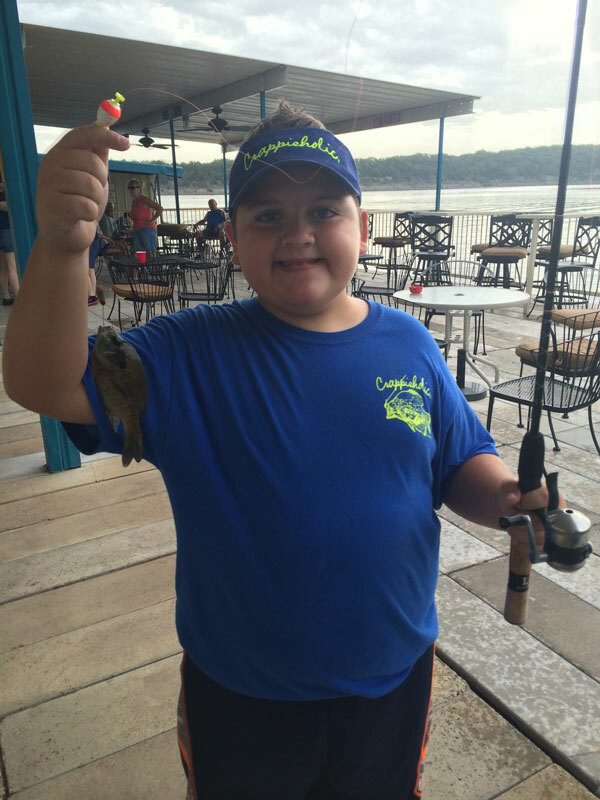 Bass Pro Shops Crappie Masters Youth Scholarship tournament was a pre-tournament highlight for a few kids, their fishing partners, family and friends who attended. 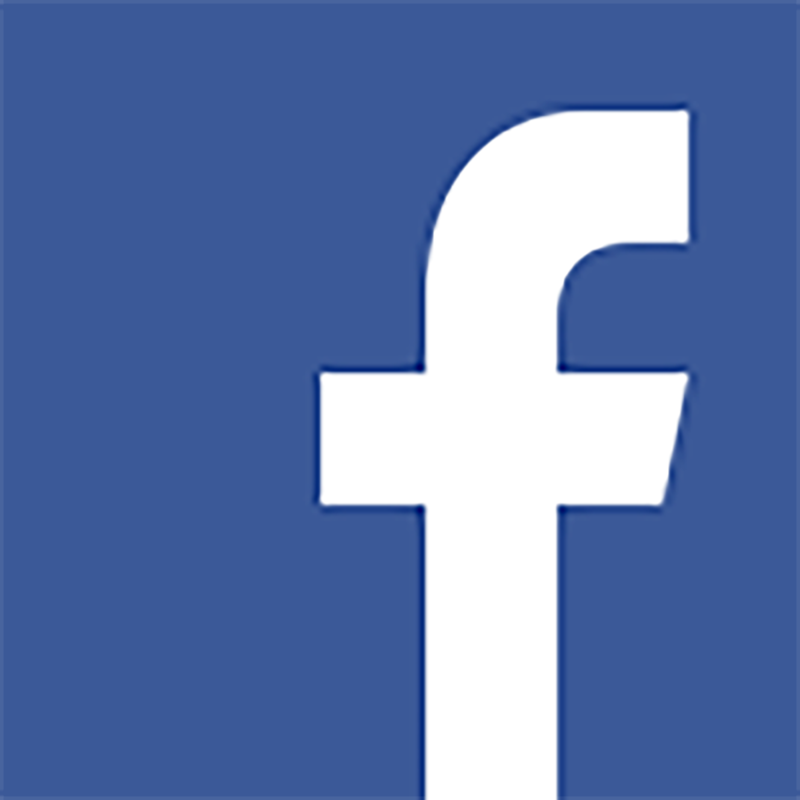 The two age divisions for completion was 10-12 years old and 13-15 years. The team could find the spots to fish, setup the poles and net the fish, but the youngsters had to do all of the fish catching. 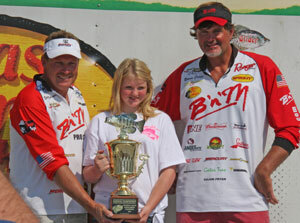 The 10-12 winner was Karleigh Phillips, from the Mississippi delta region, fishing with the Tite-Lok/ BnM Pole team of Ronnie Capps and Steve Coleman. 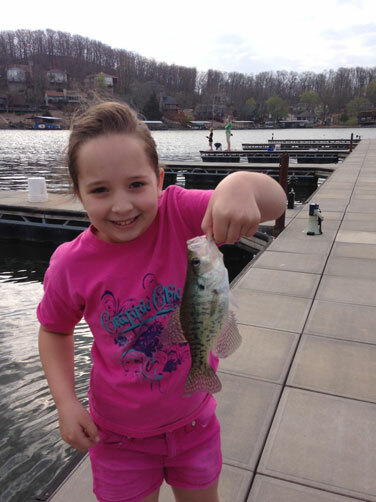 Karleigh weighed in 5 fish for 5.18 pounds. She is the second female to win the big prize of a $4000 scholarship. 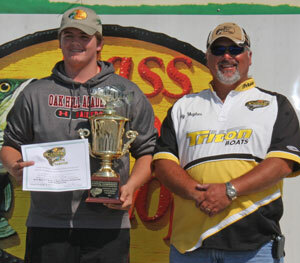 The 13-15 winner was Caleb Roberson, also from Mississippi, who became eligible from a drawing from the Future Fishing Foundation. He fished with angler Tony Hughes and weighed in 4.79 pounds with five fish. Caleb won a $4000 scholarship. 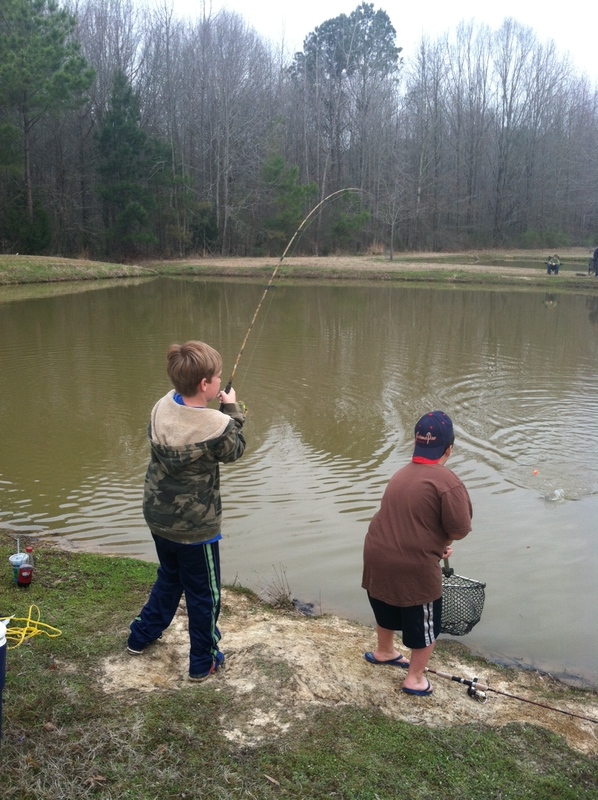 Other kids participating included Garrett Ables fishing with BnM Pole team, Kent Driscoll. 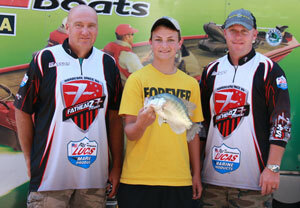 Levi Taylor fished with Jason and Jim Westerberg. 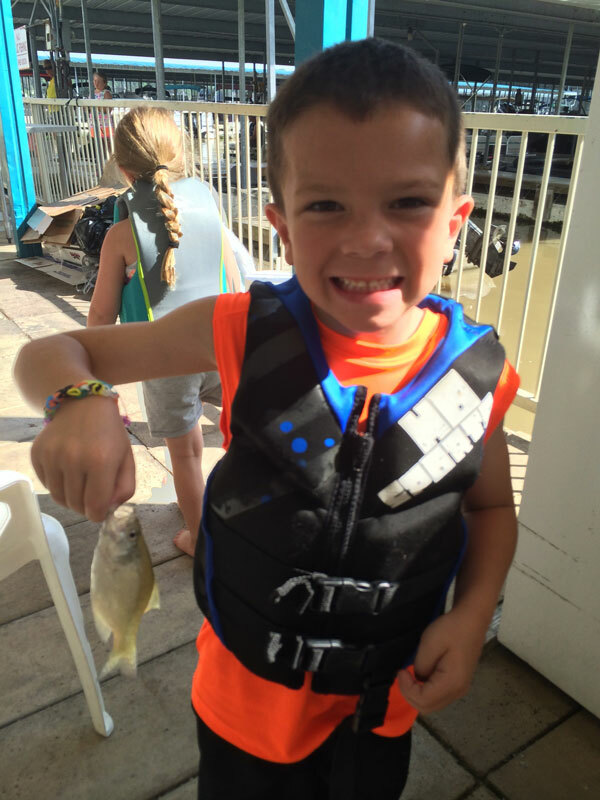 And Jordan Perze from Florida who fished with Bass Pro Shops Con Collins. 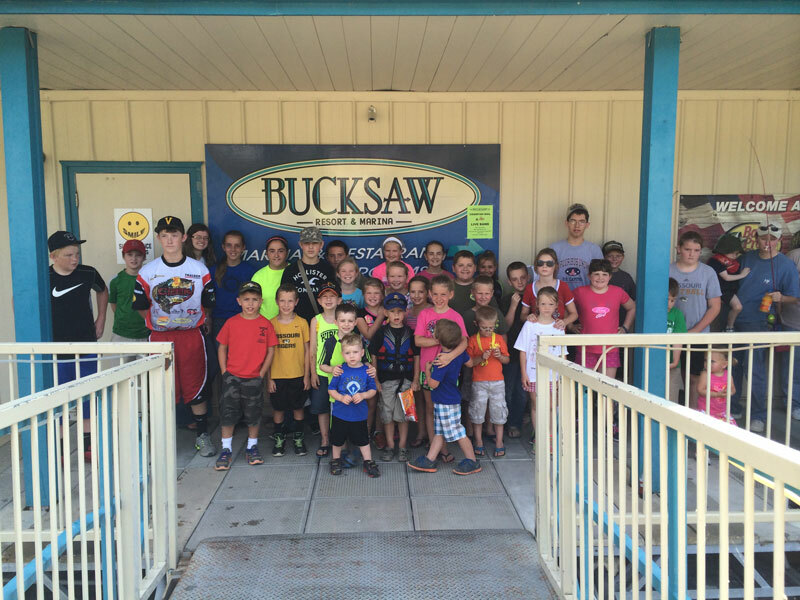 Each youth won $800 Bass Pro Shops gift card.